1/16 Zimmerit for King Tiger Tank, Porsche Turret Discounts Apply ! ATA1602 - 1/16 Zimmerit for King Tiger Tank with Porsche Turret. 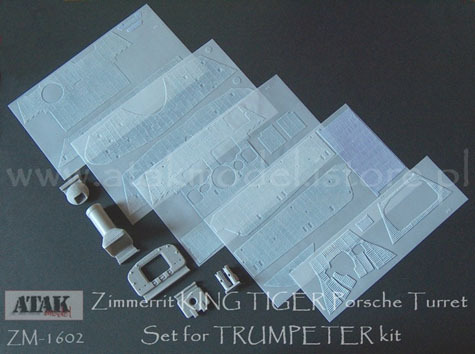 For 1/16 Trumpeter model tank kits. Kit also includes plastic detail parts.